Product Hunt’s Algorithm Tried To Kill Us. Why math hated Patent Monk, but users loved it. tl;dr: We love Product Hunt. And find Ryan Hoover’s story inspirational. But Product Hunt has a secret way of penalizing your upvotes. Massively. Scroll to the bottom to see how to get around it. Ryan Hoover created a beast in November 2013. He called it Product Hunt. Its mission? To explore strange new worlds (of business). To seek out new (founders) and new (investors). To boldly go, where Digg/Reddit had never gone before. But like the Prime Directive (last Star Trek reference, I promise), his mission was fraught with moral dilemmas. How do you ensure the quality of the the system? Why would someone trust that the best submissions win each day? How do you prevent people from rigging the vote? His answer was to reduce voting to a mathematical equation. Weighing some votes more than others. Giving submissions with a faster rate of upvotes priority. Allowing the “right” people, tastemakers, to have greater sway on what makes it to the coveted top ten spots for the following day’s email. It’s smart, and exactly what helped turn Product Hunt into the de facto launch platform it is today. Without it, Product Hunt wouldn’t have grown, and you wouldn’t have an amazing place to launch your baby to the world. That’s because Product Hunt users can be an avid fan base. Checking the leaderboard more often than Facebook. Clicking on every link. Subscribing and unsubscribing to new things constantly. And yet it’s these uber-users, the ones who go to Product Hunt’s homepage to sift through the submissions, who Product Hunt favors. The ones whose votes count the most. The one’s who like a very particular niche of products. The GIF creator. The email optimizer. The Uber for X. Startups that every techie in the Product Hunt world drools over, but is a total mystery to Mom, Dad, and every friend not reading Tech Crunch religiously. You may have a huge fan base built up for your non-traditional Product Hunt product. Maybe even gathered a torrent of rapid beta users itching to tell their friends. But that’s why when you’re finally ready to launch, excitedly sharing your Product Hunt link to your tribe, their excitement to upvote and share your work can come back to bite you. Don’t link directly to your Product Hunt page. Because we get it. You’re tempted. It’d be easy to start casually asking friends to upvote you. They’d probably do it anyways right? You’re just letting them know about it. You’re actually being a BETTER friend because they’d feel bad later about not upvoting. And shoot, while I’m helping them discover my inner awesomeness, a post on Reddit wouldn’t hurt. Just a quick little ask on my favorite Slack group? No biggie. But maybe you don’t care. Here’s why you should. Did you get that? Product Hunt will push your product DOWN into the seventh circle of hell. Along with the Internet trolls, political Facebook posts, and email chains. But wait, how does it KNOW? Here’s where things get juicy. And where speculation meets rumor…meets my semi-educated brain. Sure, Product Hunt’s team can see what traffic is coming from where. Anyone who uses Google Analytics and has any traffic besides their mom showing up knows that. And maybe they could go to the subreddit with all that incoming traffic to see if you spammed it, shamelessly begging for upvotes in exchange for favors. Because there’s a more ingenious, automated way to accomplish their goal — direct links. The day you launch, you send the link to your tribe. Letting them know you’ve finally hit the big leagues. A spot on Product Hunt. But as they start upvoting, trying to help you show the world how amazing the product is, you start dropping in the rankings. Imagine a more sinister scenario. You send the link to your Product Hunt listing to Grandma. Along with instructions to click it, sign up for Twitter (hi there, @BaddieWinkle ;) ) and upvote your baby. And of course she does it. But what Product Hunt sees is someone trying to scam the system. Because the chances of someone typing that exact url aren’t stellar. 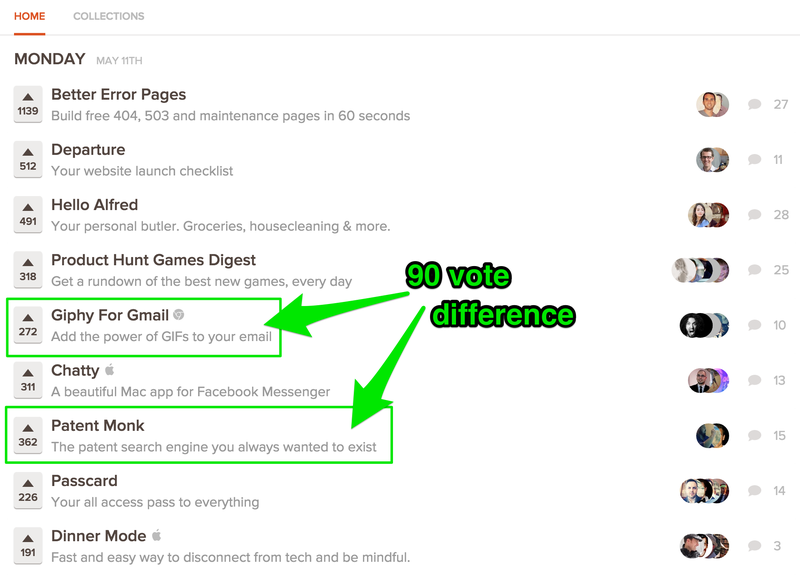 And there’s far more harm from a voting ring to Product Hunt’s credibility, than your tribe. So the upvote gets counted for less. Or worse, turned into a negative. A DOWNVOTE. I’m honestly not sure which. It doesn’t matter in either scenario if you specifically told people you linked to not to upvote unless they really liked it. Or if you just shared the link to #humblebrag on Instagram. It doesn’t matter if you followed the rules and didn’t ask for votes. Product Hunt is so protective of users gaming the system that they abolish the ability to share directly with an audience. So what do they WANT you to do? Simple. Send your potential friends, family, Redditors, Slack peeps, and weird acquaintances that you secretly hope will upvote you, to Product Hunt’s main page. Where they then have to actually FIND your listing. Or at the very least see that it’s terrible compared to others on that particular day. This gives them more page views, reduces bounce rates, and lets new users see how large and awesome Product Hunt’s community is. Growth Hacking 101. So that’s why product makers would never do it. They’d NEVER think to ask potential users to search Product Hunt’s main page. And so…Product Hunt’s algorithm secretly works its magic. Prioritzing those who go directly to ProductHunt.com and “discover” your amazing startup. Giving people who genuinely discover your product through divine intervention (or an unhealthy addiction to browsing the leaderboard) the chance to see their “winner” race faster to the top. But there’s a secret way around this. Doing so directs those would be (but unwitting) vote saboteurs to a pre-populated “search” on Product Hunt. With your product the very first result. Getting around that algorithm and making sure their vote doesn’t come back to haunt you. Expand Product Hunt’s user base. And shed a little transparency on an increasing influential platform. I learned this little “trick” after voting was over for Patent Monk. After I vented to some insiders that it was frustrating to get the 4th most votes for the day and end up in 8th place. I knew I hadn’t attempted the cheat the system. I never once asked for a vote. I even actively told people NOT to upvote. I played the long game. I commented on blogs and made friends with writers months in advance. I contributed to communities where I thought they’d find Patent Monk useful. I gave invites to beta users, championed them, implemented their suggestions, and turned them into evangelicals. I had everyone primed for the day we launched — whatever the platform or website we debuted on. Chomping at the bit to let their friends, coworkers, patent attorneys, startup CEOs, tinkerers and inventors know about Patent Monk. Is it any wonder we were excited come launch day? That’s why when we launched we let the people who wanted to know, know. They’d been waiting for that moment. The time when they’d finally see us open the flood gates. And because we wanted to do it on Product Hunt exclusively, because we actually love (and still love Product Hunt), we sent them directly to our PH page. But our evangelicals came out in support. Spreading the word throughout their Twitter accounts. And encouraging us to devote countless hours engaging with our upvoters on Twitter during launch. Not to mention galvanizing the communities we cultivated months in advance for us. Despite the odds against a non-niche Product Hunt product, we ended with hundreds of votes. The second most upvoted legal startup — ever. But the question of why with the 4th most votes, did we end up in 8th place, preyed on our minds. We actually moved up to 7th place days later. Which is why we’re not in 8th place here. BTW Better Error Pages (#1 here) is awesome and totally deserved all the upvotes they got. In fact, all of these products were great, and the mutual support many showed us on the day of was truly incredible. We hope nothing in this story dissuades anyone from trying them out. Until we learned that our efforts at getting the word out had hurt us. That Product Hunt favors some voters with more insider clout. That having a moderator or someone with a huge Product Hunt following is worth its weight in gold. That sending users, whether new or existing, to Product Hunt was a bad thing. We’d have followed the rules. We thought we were. It’s not the injustice you see in plain sight that cuts the deepest. It’s the trust that’s broken when the veil is taken away. Product Hunt doesn’t need to give away all it’s mathematical secrets. Not by a long shot. We love the website, and continue to peruse it religiously. And we admire Ryan Hoover and his team. For what they’ve built. For the platform they’ve created. 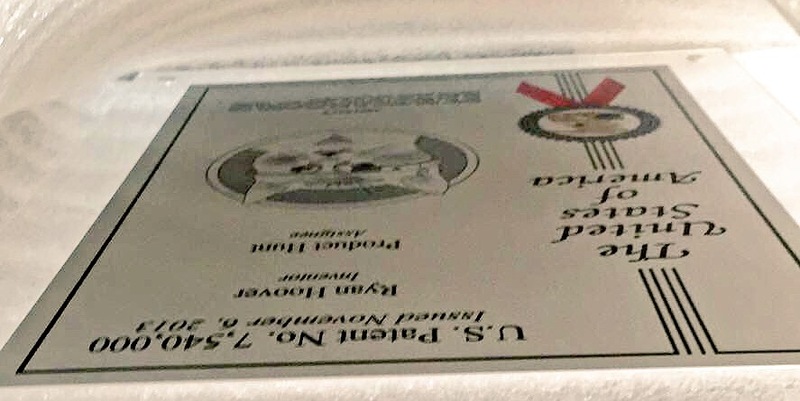 For their inspiration. We even sent them a present long before we ever launched. Because we freaking couldn’t wait to be apart of it. In our own small way. That’s why we hope Product Hunt considers being more transparent in the future. Putting every submission on a level playing field. Allowing “boring” products outside the usual sweet spot of Product Hunt users a chance to shine. If this loophole does work, don’t abuse it. One of the things that makes Product Hunt special is it’s ability to help amazing products become known. So let’s all adhere to the Spiderman creed: Great power…Great Responsibility. Ok? I’m sure Product Hunt could close the loophole. And they probably should. The goal of this story is help shine a light on how things work in the black box of Product Hunt. Maybe even convince them to be a little more transparent. And to help honest, game-changing, nontraditional (for Product Hunt) products succeed. Not help you rig the system. OK? We’re Patent Monk. The patent search engine you always wanted to exist. We’re also Kung Fu fail video collectors. Teaching the patent world a whole new style of kung fu, with a modern reading experience like none other.